A German court on Tuesday extended Apple's injunction against Samsung's Galaxy Tab 7.7 to encompass the entire E.U. but at the same time denied a similar appeal from the iPad maker to block sales of the larger Galaxy Tab 10.1N. While Apple won a favorable ruling from the Dusseldorf Higher Regional Court in Germany effectively blocking E.U. sales of Samsung's 7-inch tablet, it was denied a linked request for an injunction against the larger Galaxy Tab 10.1N, which was designed to specifically skirt the iPad maker's patents, reports The Verge. 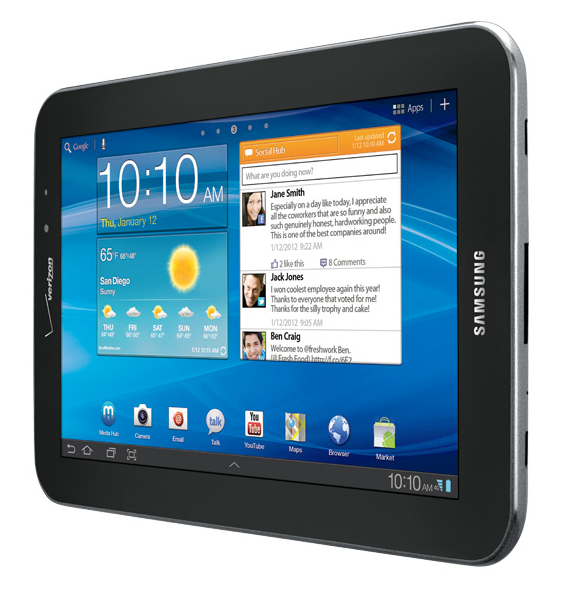 Tuesday's judgment extends a previous German Galaxy Tab 7.7 sales ban to the whole of the E.U. and represents the second win for Apple's European design patents. In September 2011, Apple won a permanent German sales ban against the Galaxy Tab 10.1, a ruling that was upheld in January based on the country's "unfair competition" laws. Interestingly, the Galaxy Tab 10.1 injunction caused Samsung to pull demo units of the 7-inch tablet from showcases just after the device was unveiled at the IFA consumer electronics show in Berlin last September. Samsung is disappointed with the courts ruling. We will continue to take all available measures, including legal action, to protect our intellectual property rights and defend against Apples claims to ensure our products remain available to consumers throughout the European Union. The day was not completely Apple's, however, as the Cupertino-based company was denied in yet another appeal to stop sales of the 10-inch Galaxy tablet purpose built to side-step the imposed German injunction. Originally built a month after the German sales ban in 2011, the 10.1N was ultimately cleared for sale in February after the Dusseldorf court cited notable changes had been made to the tablet's design. Subsequent appeals from Apple to secure an injunction have thus far been unsuccessful. "Samsung welcomes the courts ruling which confirms our position that the GALAXY Tab 10.1N does not infringe Apples intellectual property and does not infringe laws against unfair competition. Should Apple continue to make legal claims based on such a generic design patent, design innovation and progress in the industry could be restricted." The court's denial of Apple's 10.1N request is unlikely to result in any substantial gains for Samsung as the Korean company has already announced the tablet's successor in the aptly-named Galaxy Tab 10.1 2. Apple and Samsung are mired in a morass of worldwide patent litigation spanning over 10 countries. The two tech monoliths are slated to face each other in a high-profile California court case next week barring the unlikely event of an out-of-court settlement.